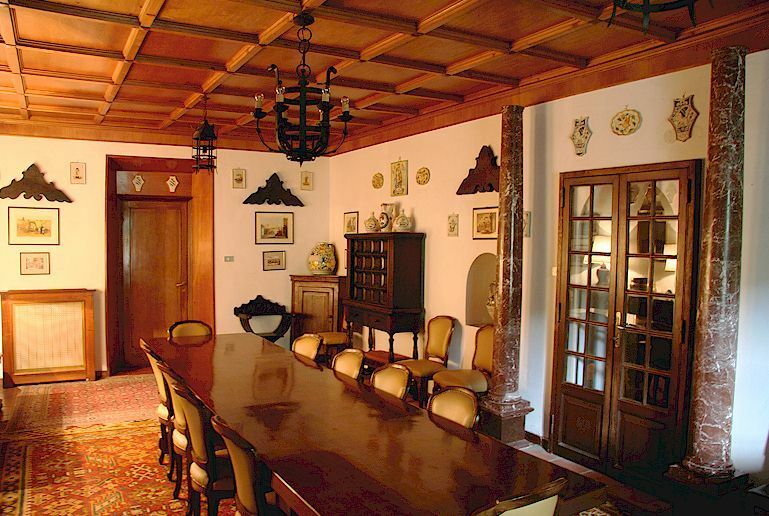 Villa Matassi is a splendid 18 C country house available by the week as a luxurious vacation rental for up to 8 persons. The villa stands within a large walled garden set in two hectares of farmland in the valley between the Prenestini and Tiburtini Hills, within sight of Ciciliani. 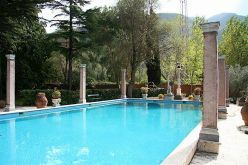 The valley is an hour (40 km) east of Rome and 10 km from Tivoli . 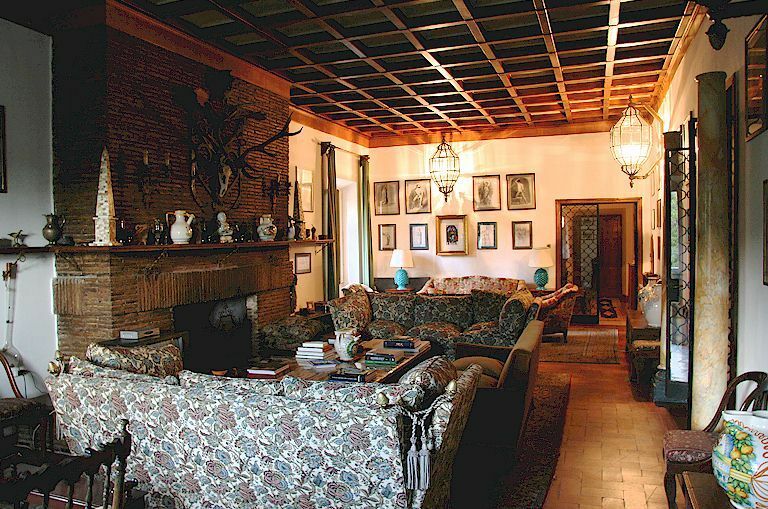 The nearest village is Castel Madama, 3 km away. The villa has a full-time custodian, catering can be arranged and the facilities include a barbecue, a dishwasher and a washing machine. 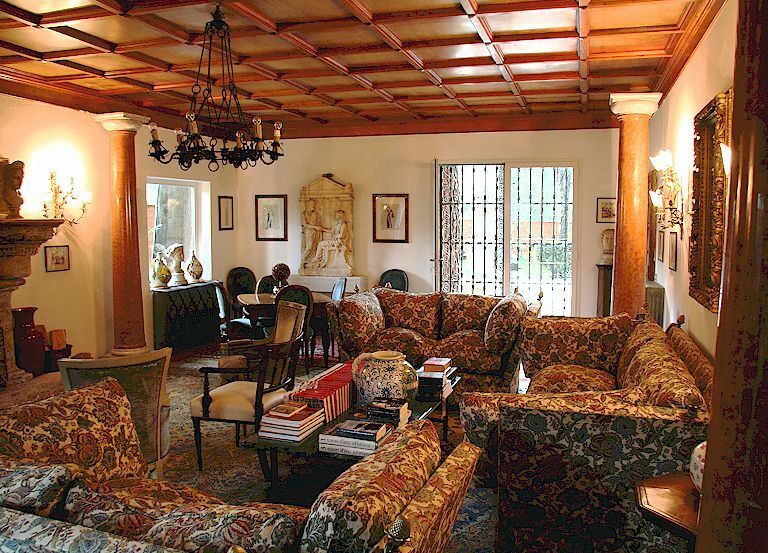 The villa and its garden reflect the enthusiasm of the current and previous owners for all things classical. 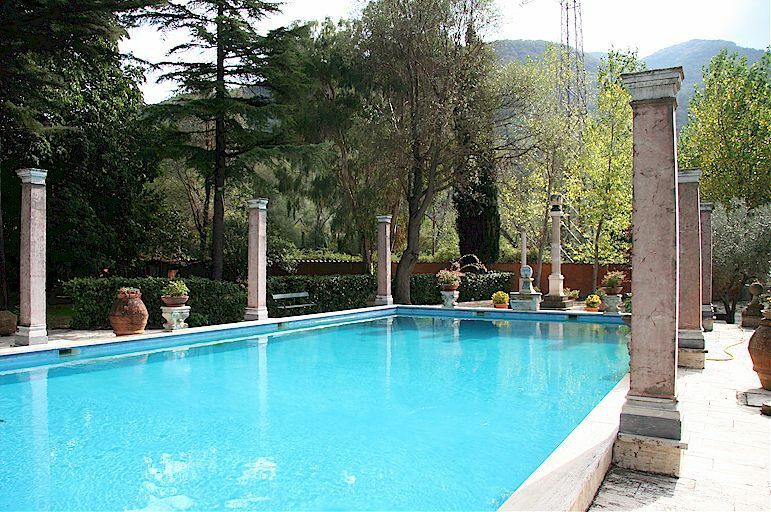 Both the house and the grounds are scattered with Roman art and antiques, and the huge pool (10 x 20 m) is surrounded by Roman columns, busts and sculpture. Umbrella pines and cypresses shade the sitting areas of the garden. 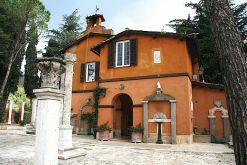 Rome may be visted by car directly or by parking in Tivoli and taking the train into central Rome, thereby avoiding Rome traffic. Ground floor: Living room with side door, dining room, fully-equipped kitchen, two twin bedrooms, both with en-suite shower room and toilet. 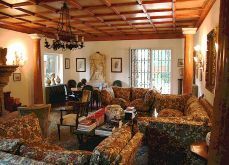 First floor: Living room, billiards room, 2 double bedrooms, one with en-suite bathroom and toilet. Villa Matassi is an ideal and evocative base for anyone planning a Roman holiday. The sights of central Rome are best visited by driving to the nearest Metro station and using the train rather than facing Roman traffic. The sights of the Roman Campagna are all within easy reach. 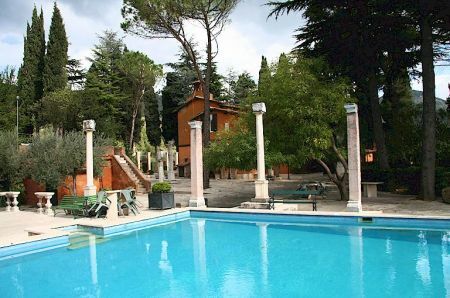 The most important and enjoyable is Tivoli where not less than a whole day should be reserved for a visit to the Villa d'Este and Villa Adriana, the palatial retreat of Emperor Hadrian. 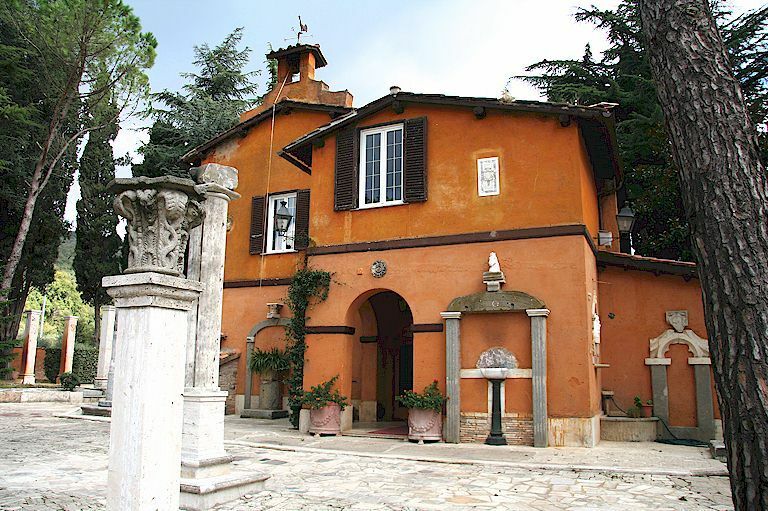 The Villas Aldobrandini and Torlonia in Frascati are essential visits for afficionados of italianate gardens and villa architecture. 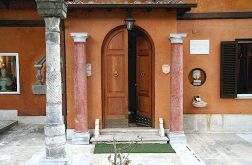 Accommodations in Rome © ammonet InfoTech 2006 - 2010. All rights reserved. 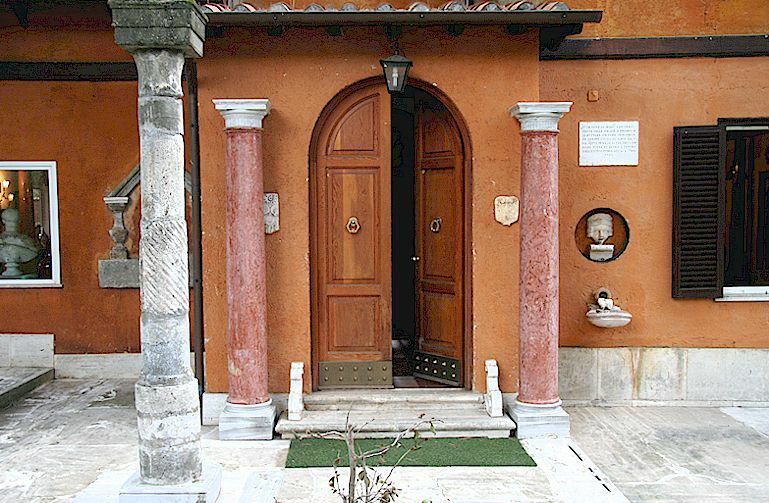 Accommodations in Rome © ammonet InfoTech 2006 - 2018. All rights reserved.